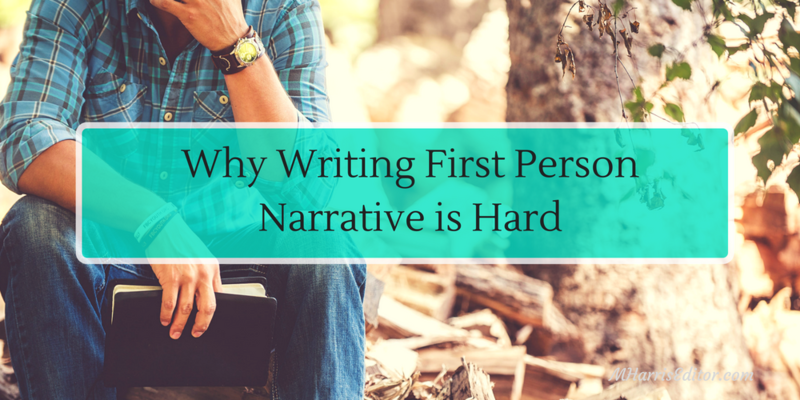 Writing in the first person can be a challenge for even the most seasoned writers. In K-8 schooling, we are taught to almost exclusively use first and third person when writing. By the time we get to high school and begin writing more serious and complex academic papers, third person becomes the norm. Unless someone takes creative writing or other advanced English courses, by college the third person is the only working approach that most writers are left with. Standardizing the perspective of most work, such as research papers and essays, allows them to be easily digested and shared by professors. This approach works well for them, but unfortunately leaves many writers (especially indie authors) unable to express themselves through multiple approaches. It is little wonder, then, that when we reach adulthood, the first person has been banished from most writers’ minds. Worse yet, when the first person perspective is used in a piece of writing, it often sounds self-centered and whiny! “I” this and “me” that creep into far too many first person works. The personalized subject comes at the cost of the greater theme of the work. You’re left getting hit over the head with the word “I” rather than understanding the true plot of the story. The first person perspective also challenges the ability of some writers to craft a story without the world building power that comes with third person omniscience. When writing in first person, a writer risks creating outside characters which fall flat and may fail to capture the unique qualities that make a supporting character interesting. Without the ability to step outside of the protagonist’s mind, the entire story must be driven from personalized observations and actions. A writer must show action as it takes place (present tense) or have the character actively remember what occurred (past tense). As writers, we frequently fail to take the time to be creative in sentence construction, especially with a deadline looming. As a result, sentences are repetitive and dull, often leave the reader feeling bored and leading the writer to feel less inclined to use the first person perspective in their writing. 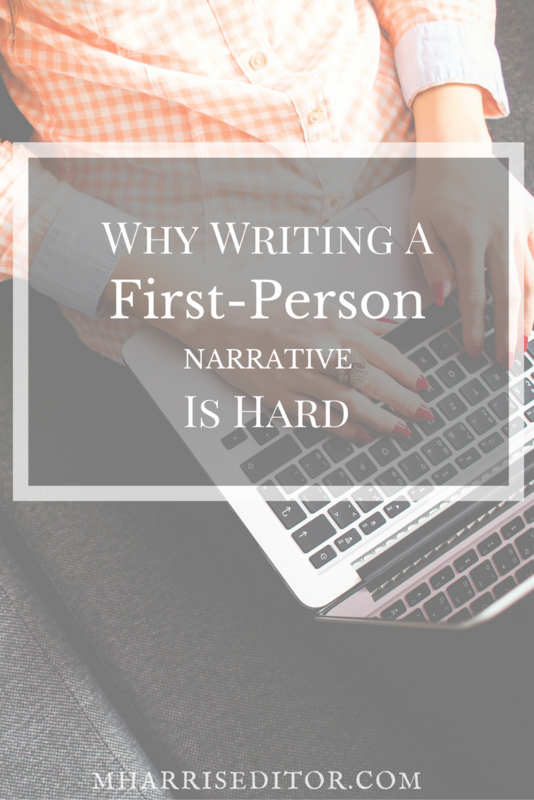 Ultimately, first, second, or third person perspective writing all requires the same core elements: patience, a little creativity, and a willingness to edit work in plenty of time to make a deadline. For additional help with writing first person narratives or other content issues with your manuscript, contact me to discuss how we can work together towards your goals!